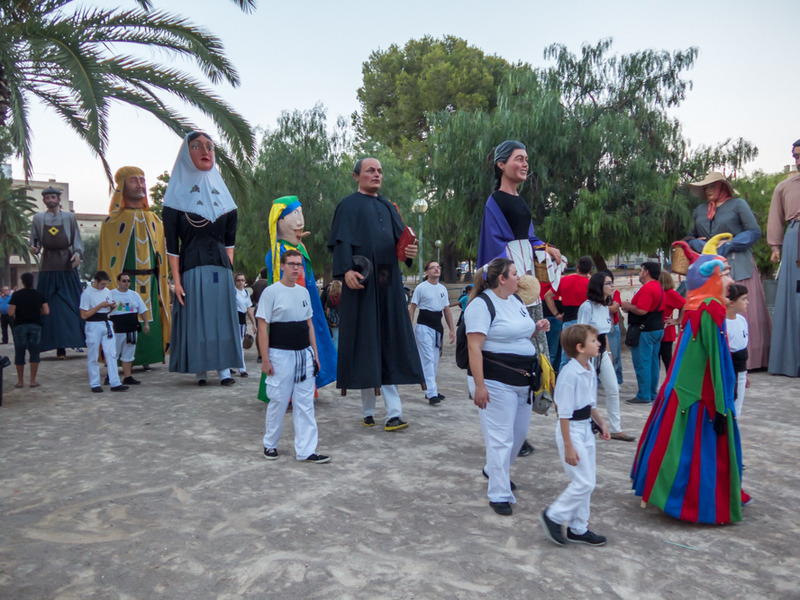 Last weekend, Felanitx celebrated the VIII Trobada de Gegants as part of their Fira del Pebre Bord activities. 16 huge giants and a number of such of a lesser size congregated happily and then paraded through the narrow streets of the town, having come from Mallorcan villages such as Campos, Sineu, Marratxí, Pollença and Manacor, amongst others. The photo was taken in Felanitx, Mallorca, Baleares, Spain. The date: October 19th, 2014.